We started the school year this last Tuesday August 14. I decided to start Read to Self on the very first day by following the instructions suggested by The Two Sisters. After discussing with the students how practicing reading in a sustainable way helps us to become better readers and writers, we made our Read to Self I-Chart. We also talked about building Stamina; then I introduced The 3 Ways to Read a Book. The struggling readers got enthusiastic about being able to just read the pictures of a book, or retell a story they were already familiar with. On our first day we were able to build stamina for 3 minutes. We had a slight set-back on day 2, when a couple of the boys began commenting about the books they were reading. Thursday and Friday success rang again, and were able to build stamina for up to 7 minutes. On Thursday, day 3, I introduced I-Pick. However, I still control the books available to the children but selecting mostly easy books from which they can choose. For next week, I plan to introduce Work Work while simultaneously continue building stamina and attempting to reach 20 minutes by the end of the week, by adding 2- 3 minutes daily. More pictures to come! You can download these posters here! Where did my summer go? Are you feeling like me, thinking that just a few days ago I was packing for the end of the year and now it's time to unpack and set up the classroom for the new school year? I can't believe there is only a few more days (7 exactly) before I meet my new class. Of course, I am excited to meet my new munchkins! Did I mention I am switching schools? Well the excitement is all over the place. Anyhow just to 'relax' I've been planning and creating new things for the upcoming school year. As I am getting ready to implement (for the second year) the Daily 5 in my classroom, I made new bookmarks for the children to use during reading, but also as a reminder of what Daily 5 stands for. I thought I share them with you! I've been reading "Teaching Reading to English Language Learners" by Kristin Lems, Leah D. Miller, and Tenena M. Soto. While there are many books dealing with the challenges to teach youngsters how to read, there are not so many offering an insight as how to teach those who are simultaneously learning to read while acquiring a second language. Thus the perspective offered by this book, with insights from linguistics as its subtitle indicates, contributes significantly to the teacher profession by offering a wealth of effective strategies to use with young English language learners. Each chapter is followed by the section "What Does This Mean in the Classroom?" offering practical suggestions aligned to the linguistic component of the chapter. 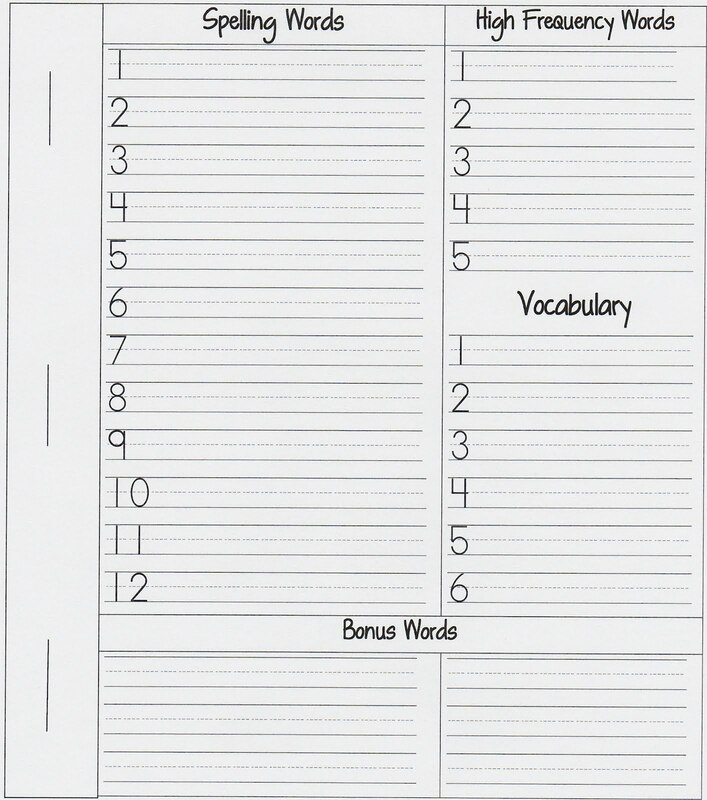 For example, chapter 5 "Using Morphemes to Learn Vocabulary" explains the importance role of morphemes in the English language, explains the four categories of English morphemes (inflectional, derivational, functional, and lexical), and follows these explanations with several activities that teachers could incorporate in the classroom to develop students' strategies for expanding their vocabulary. I think THIS book should be a must read for all teachers, especially for those teaching English language learners in all grade levels. Do you use anchor charts in your class? I bet you do! 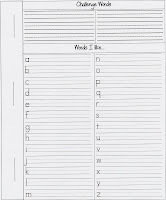 Anchor charts are used in the classroom for a variety of purposes. I start the year with an anchor chart where we, as a class, brainstorm the Classroom Rules. The children have very much a very good idea of what's allowed and what isn't in the classroom, what's more important it gives them ownership of the classroom management. Throughout the year more anchor charts are to come. For brainstorming topics, to teach specific skills, to improve others, etc. Students love anchor charts because they contribute to what's on them, and also because they can use them as reference when they need it. Of course the problem is what to do with "all" the charts afterwards. Well, those which I think will be worth keeping throughout the year stay in the class and I put them up as needed, the others go home with the students. 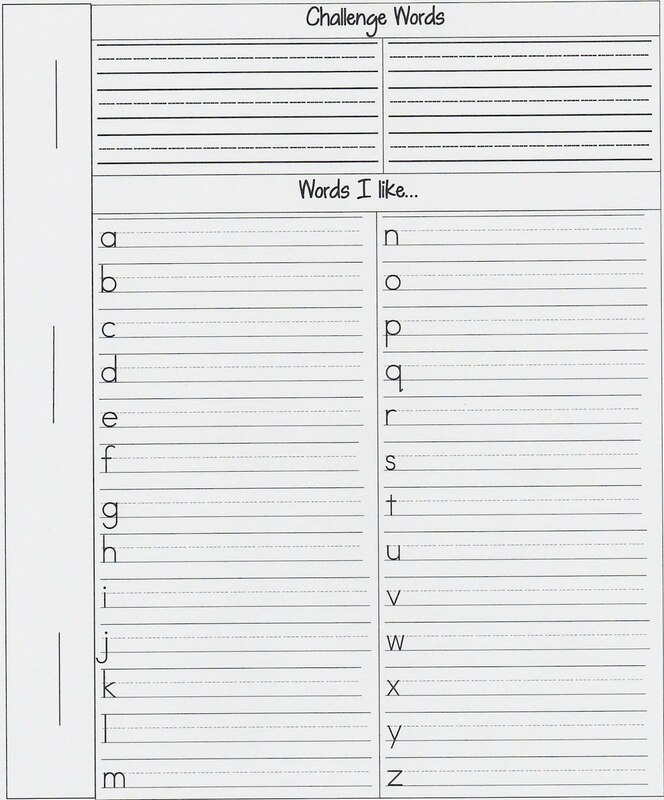 Recently, someone gave me the idea of taking snapshots of each anchor chart, print it, and make a copy for each student to keep in some sort of Anchor Chart Folder. I think that's an idea worth trying. Will post pictures as soon as I do it! Having a word wall in the classroom is important for children to recognize and spell high frequency, vocabulary, and spelling words. It is a great help during writing too. However, those of us with limited space available on our walls, or walls so old that don't hold much, having a space with all the words children need is just not possible. 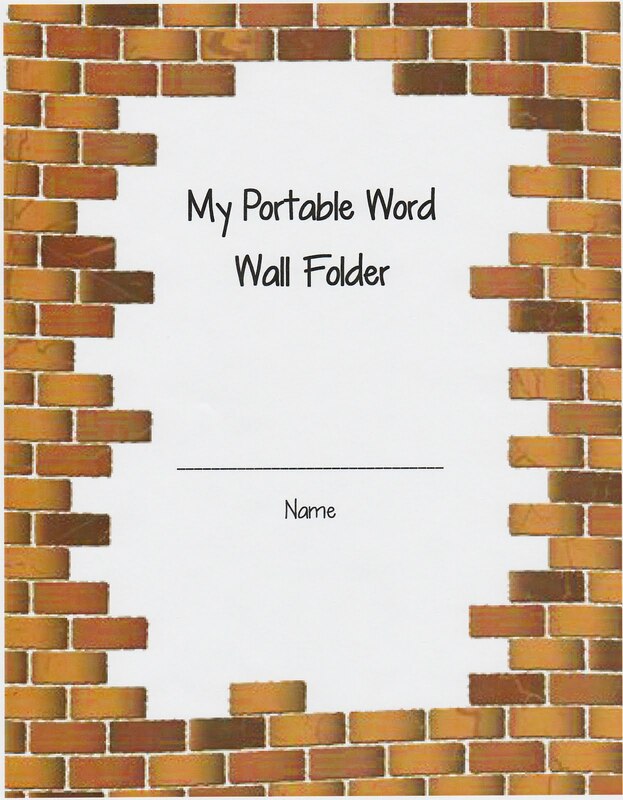 A way I have found to solve this problem is giving the children their own Word Wall, that is a Word Wall file folder that we call "My Portable Word Wall Folder". 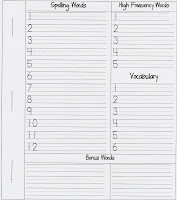 It has numerous advantages as it is own by the children, updated according to their specific needs, and contains the spelling and vocabulary words from each unit-lesson. 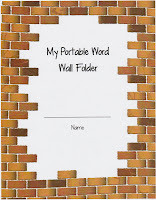 Every week, after introducing the spelling pattern, the high frequency, and the vocabulary words for the week, they add these words to their folder. As they read, the basal, or other books or stories during the week they can add to the Bonus words, Challenge words, or Words I like section. If you would like to download this file I have uploaded it on the Freebies section. I can't believe how fast this "short summer" is going. We are shy of a month to start a new school year. I am quite excited because this year I will be starting in a new school and teaching a new grade. Actually, I will be returning to teach second grade since that's the first grade I taught when I started over 12 years ago. 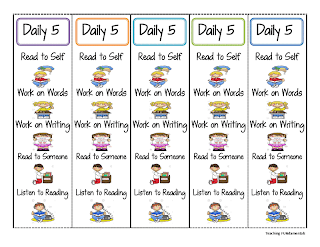 I am planning in incorporating the Daily 5 into my daily routine-framework for the language arts block. Last year, when I taught first grade, I included bits and pieces of it, and it played a good role in adjusting my students to work independently. I truly think that it will be way more effective with my second graders.